This state of affairs is completely abnormal, of course. Or, to put another way, the confusion is not God’s fault. In fact, God’s revelation in the Bible exists to accomplish just the opposite. The Bible is God’s revelation to men of where we have been, where we are, and where we are headed. It is a revelation of our past, present, and future; and these are revealed, not only in reference to the individual, but also as the concern nations and the movements of history. What will happen to us in the years to come? Where is history headed? How will it end? Is God in control or has He forgotten us? Do the events of our life have significance? If you are interested in these questions and have not been satisfied with the predictions of politicians or pollsters, then this series of studies of what the Bible has to say about the future is for you. I must admit that for many years I have been reluctant to write on this subject – for two reasons. First, I believe that in the last generation there has been an overemphasis on prophecy in the writings of certain evangelical leaders. Prophecy is a part of the Bible. It should be studied. Yet sometimes prophecy has been discussed to the exclusion of many other vital and urgent doctrines. That is inexcusable when some still do not know about sin or about Christ’s atonement. The second reason that I have hesitated to write on this subject has been an inner suspicion that much teaching on prophecy has been directed toward a wrong level of involvement both for the teacher and for the listener. Many are interested in prophecy solely because of a desire to know something that no one else knows, to have the final word on things to come in the future. In some circles this has led to a certain smugness which has destroyed the very compassion and outreach to humanity that a true understanding of the subject is intended to produce. Since in the face of such misgivings, I have decided to write a series on biblical prophecy, it would be well to give you my reasons. There are four of them. First, for anyone who has determined, as I have, to explore the whole counsel of God by means of a thorough exposition of the Bible, it is impossible to avoid prophecy, for the Bible is full of it. In fact, from one point of view, the Bible is almost entirely prophecy. It is the record of God’s promises of a Redeemer and of the salvation of the human race, together with a record of the fulfillment of those promises insofar as they occurred. One-fourth of the Bible is specifically prophetic. Whole books, both in the Old Testament and the New Testament, are devoted to prophecy. It is a recognition of this fact that has led most good Bible students to treat the subject at least to some degree. A list of them would include such names as Sir Isaac Newton, Blaise Pascal, Jonathan Edwards, H.A. Ironside, I.M. Haldeman, C.I Scofield, Arno C. Gaebelein, G.H. Pember, and, in our day, J. Dwight Pentecost, Hal Lindsey, Billy Graham, and many others. My second reason for treating prophetic themes at this time is the current secular interest in the future, particularly as shown by the involvement of many with astrology and spiritualism. It is true that humanity has had an interest in the future throughout history. The Babylonians, Egyptians, Greeks, and Romans all had fortune-telling priests and astrologers. Although condemned by Christianity, astrology was popular in the western world until after the Renaissance, when increased scientific study discredited it. However, the study of astrology has revived in recent years. Today an interest in the future is everywhere apparent. Astrological signs abound. Newstands are filled with books and pamphlets on what is to come. Astrology was brought to the popular level by the rock musical Hair, with its highly successful song “Aquarius.” Millions consult their horoscopes daily. In fact, according to Hal Lindsey, a new and popular writer on prophecy, columns on astrology now run in 1220 of 1750 daily newspapers in the United States. Twenty years ago only 100 papers ran astrology columns. There is also an interest in the more popular prophets of the day such as Jeanne Dixon, Carroll Righter, and Syndey Omarr. In Europe there are literally thousands of mediums. According to one estimate, there is a fortune-teller for every 120 Parisians. I have been told that there are over 200 mediums in the city of Zurich, Switzerland, alone. Certainly, this kind of interest needs to be countered by the legitimate biblical approach to the events associated with the culmination of our age. The third reason is the current renewed interest in biblical eschatology by established theologians. The best known of these is the German theologian named Juergen Moltmann, a professor of systematic theology at the University of Tuebingen. His first widely successful book, The Theology of Hope, is an attempt to look at all Christian doctrine from the perspective of God’s future promises, and it has set off a wide range of related studies by others. Thus, although a generation ago many scholars laughed at any interest on the part of conservatives in biblical prophecy, today many would agree with Henry P. Van Dusen who has argued that “the problem of eschatology my shortly become, if it is not already, the framework of American theological discussion,” and perhaps indeed of theological discussion generally (Henry P. Van Dusen, “A Preview of Evanston,” Union Seminary Quarterly Review, March, 1954, p.8). My fourth and final reason for writing this series of studies is the most important one, however. It completely overshadows the others. The reason is this: God Himself appeals to the fulfillment of prophecy as evidence that He alone is God and that He is faithful to all who follow Him. In fact, He challenges those who do not yet believe to investigate personally the fulfillment of biblical prophecy. I know that some will say, “But I have never heard of that. Where in the Bible does God make such an appeal?” God does so in many places, but the greatest appeal is in a section of nine chapters from the heart of the book of Isaiah, chapters 40-48. The theme of these chapters is the greatness and majesty of the true God, and the appeal is to prophecy. In chapter 40 God begins by contrasting His own performance on behalf of His people with the performance of idols. The point is that the idols can do nothing. To who then will you liken God? “Present your case,” the LORD says. Or announce to us what is coming. that we may anxiously look about us and fear together. The point of these verses is that the idols are ineffective. No one but God Himself can tell the future, since no one but God can control it. The argument continues in this vein for several chapters until it is summed up in chapter 48, “Who can foretell the future?” God asks. This is the test of the true God and of the one who claims to speak in His name. No one in biblical times – or today, for that matter – doubts that there are people in every age who will pretend to possess insight into future events. The idols, as well as Jehovah, had their prophets. There have always been astrologers and mystics. But the question is not “Are there prophets?” The question is “Whose prophecies come true?” By this standard, it is the claim of God and of the Bible that all that is prophesied in the Bible has either come to pass or is coming to pass and that men should believe on the God of the Bible because of it. In this series we will be looking primarily at the biblical prophecies of things that have not yet come to pass. Yet it would be inadequate to look at prophecies that relate to the future without at least considering some of the many prophecies that are also part of the biblical revelation. For one thing, we need to look at the past to meet God’s challenge to Isaiah. For another, only as we do this will we be able to approach the future prophecies, not as guesses by reasonably intelligent men, but rather as further divine revelations, through those who have already been tested, of what awaits this race and the individuals in it. Jehoshaphat answered, “I am as thou art, my people as thy people, my horses as thy horses.” Ahab was not a worshiper of Jehovah and, in fact, was quite wicked, while Jehoshaphat was more or less a believer in God. So, before they went to battle, Jehoshaphat said, “Let’s consult the Lord before we break camp.” Ahab responded by producing four hundred of his court prophets and asking them, “Shall I go against Ramoth-gilead to battle, or shall I forbear?” The prophets gave the answer that the king wanted to hear. “Go up; for the Lord shall deliver it into the hand of the king.” This word from the prophets satisfied king Ahab (actually, he would gone even without consulting the prophets) but Jehoshaphat was not satisfied. These men were paid mouthpieces, and Jehoshaphat knew it. So he said to Ahab, “But isn’t there a real prophet, a prophet of the Lord, that we may ask the outcome from him?” Ahab replied that there was one, a man named Micaiah, but that he hated Micaiah because Micaiah never prophesied anything good about him, only evil. Nevertheless, at Jehoshaphat’s insistence, Micaiah was called. Ahab recognized that this was a prophecy of his death. He turned to Jehoshaphat and said, “See? What did I tell you? Didn’t I say that he would prophesy no good about me, only evil?” Ahab then disguised himself. But in the fighting one of the Syrian soldiers shot an arrow at random which entered a joint in Ahab’s armor and killed him. So the king died and the people of Israel were scattered, as Micaiah had prophesied. A much better known prophet is Isaiah. Isaiah had a long life, prophesying over a period of sixty years, during the lifetimes of four successive kings of Judah. Many of his prophecies have been fulfilled, some during and others after his lifetime. In the midst of the siege, which dragged on and on because of the city’s strong fortifications, Sennacherib sent one of his deputies named Rabshaketh to Jerusalem with a speech intended to weaken the morale of the defenders and perhaps lead to a revolt within the city and subsequent surrender. Rabshaketh spoke in Hebrew, rehearsing all that had happened to other cities and then threatening the same fate for the inhabitants of Jerusalem. The speech had a deadly effect, so much so, in fact, that the city officials asked Rabshaketh to speak Aramaic, the language of international diplomacy, lest the people be further discouraged by hearing him. At this confession of weakness, the deputy merely kept on with his destructive propaganda. Word came to Hezekiah of what was happening, and he was dismayed. He sent to Isaiah and asked him to pray for the people and the city. Instead, Isaiah immediately sent back a prediction of what would happen. He said, “Thus saith the LORD, Be not afraid of the words which thou hast heard, with which the servants of the king of Assyria have blasphemed me. Behold, I will send a blight upon him, and he shall hear a rumor, and shall return to his own land; and I will cause him to fall by the sword in his own land” (2 Kings 19:6, 7; Is. 37:6,7). That is precisely what happened. Soon a plague swept through Sennacherib’s army. Then the king apparently heard rumors of rebellion and insurrection at home, and the army left Palestine. Sennacherib was assassinated by two of his sons when he returned to Nineveh (2 Kings 19:35-37). Later Isaiah predicted the fall of Jerusalem to the armies of Babylon, the captivity of the people, the overthrow of Babylon by the Medes and the Persians, and the eventual return of the Jewish exiles to their homeland. All these events took place roughly one hundred, one hundred fifty, and two hundred years after Isaiah had foretold them. Spectacular as these specific prophecies relating to Jewish history are, however, the most important of Isaiah’s prophecies are not those relating to the nation at all. They are the prophecies of the Messiah. Here, however, the testimony of Isaiah is supplemented by the predictions of many other prophets who lived both before and after his time. These men told a great deal about the Messiah and they told it in exquisite detail. The Old Testament tells us that the Messiah was to be a descendent of Abraham through King David (2 Sam. 7:12, 13; 1 Chron. 17:11-14; Jer. 23:5). Micah, one of the so-called Minor Prophets, wrote that the Messiah would be born in Bethlehem (Mic. 5:2). This prophecy was quoted by the Jewish leaders in Jerusalm as an answer to the Wise Men, who came to the city inquiring where the King of the Jews had been born. Isaiah revealed that the Messiah would be the child of a virgin (Isa. 7:14). He also foretold the King’s rejection by Israel and described His suffering (Isa. 53). Zechariah spoke of the price of the Messiah’s betrayal: “So they weighed for my price thirty pieces of silver” (Zech 11:12). Parts of the Psalms describe the crucifixion and intense suffering of the Chosen One; Psalm 22 contains prophecies of the mocking of the Messiah, the piercing of His hands and feet, and the division of His garments by those who carried out his execution. In Daniel there is even a prophecy of the time at which this would take place. The Messiah was to come shortly before the destruction of the temple built by Herod; that is, before A.D. 70 (Dan. 9:24-26). Moreover, Daniel foretold that the time between the publishing of the decree permitting the rebuilding of the temple after the destruction of the first temple by the Babylonians and the “cutting off” of the Messiah would not exceed 483 years (69 weeks of years or 69 times 7). Since the date of the decree to permit the building of the temple has been fixed from several sources at 445 B.C., the latest possible date for the death of the Messiah is fixed at A.D. 38, meaning that if the prophecies of the Bible are correct, all the events foretold about the Messiah had to be fulfilled before that time (note: The prophecy may be even more accurate than these figures show. For if, as Charles C. Ryrie argues, the “years” of Daniel are based upon 360 rather than 365 days, the prophecy spans 173,880 days and the cutoff date for the Messiah falls on 6 April A.D. 32, the most probable date for Christ’s crucifixion. Justification for a 360-day year lies in the fact that the Scriptures seem to equate 1260 days with 42 months or 31/2 years in prophetic passages, See Ryrie, “The Bible and Tommorow’s News”, Wheaton, ILL.: Scripture Press, n.d., pp.52-56). Were these prophecies fulfilled? Of course, they were fulfilled. They were fulfilled in the genealogy, birth, life, death, and resurrection of Jesus of Nazareth, who is thereby identified as the Messiah, the Son of God. In Part Two of our series we will begin to look at the biblical prophecies of things to come. But before we do that, we need to take note of the following three conclusions. First, if the prophecies we have already looked at have been fulfilled, as the Bible and history reveal them to have been fulfilled, then the God of the Bible is the true God and we should worship Him. That is the conclusion that must be reached if we take God’s own challenge through the prophet Isaiah seriously. Second, if these prophecies have been fulfilled, as we know them to have been fulfilled, then the Bible is a supernaturally trustworthy and totally authoritative book. This will guide our approach as we turn to future things. The Bible is a record of prophecy. If the prophecies have been fulfilled, then what Peter said about this Book is true. “No prophecy of the Scripture is of any private interpretation. For the prophecy came not at any time by the will of man, but holy men of God spoke as they were moved by the Holy Spirit” (2 Pet. 1:20, 21). God Himself stands behind this Book. It follows that we can trust the Bible for what it has to say about our own condition and about God’s plan of salvation through the death and resurrection of Jesus Christ. Finally, if the biblical prophecies about the past events have come true and if we may expect the biblical prophecies about future events to come true, then the future is bright for those who believe in the Lord Jesus Christ and are His followers. One day the rays of the sun will rise on that last and future world that has been spoken of so much by our contemporaries. But it will not be a world devastated by an atomic holocaust, as some are predicting. It will not be a world decimated by the inevitable encroachment of worldwide famine, which others are warning about. It will not even be a dehumanized world composed of machines and the men who serve them. These things may come. The Bible even predicts that some of them will come. But this will not be the end. The Bible teaches that there is a future beyond them when the Lord Jesus Christ, the Messiah who came once to suffer and will return again, will reign in righteousness and will establish a social order in which love and justice will prevail. 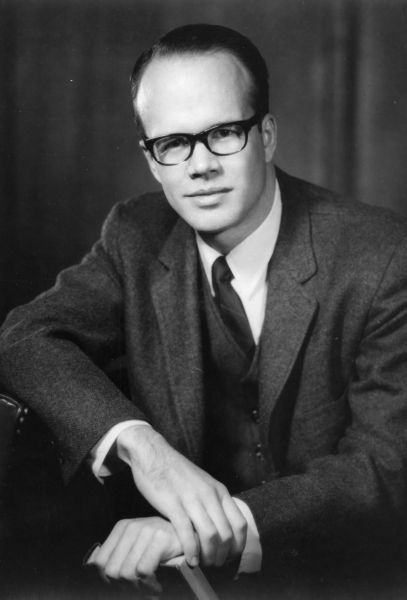 *Dr. James Montgomery Boice (July 7, 1938 – June 15, 2000) was a Reformed theologian, Bible teacher, and pastor of Tenth Presbyterian Church in Philadelphia from 1968 until his death. He is heard on The Bible Study Hour radio broadcast and was a well known author and speaker in evangelical and Reformed circles. He also served as Chairman of the International Council on Biblical Inerrancy for over ten years and was a founding member of the Alliance of Confessing Evangelicals. He was the author of numerous expositions of the Bible (e.g. Genesis and Romans), Theological writings (e.g. Whatever Happened to Grace? & Foundations of the Christian Faith), and on the practical Christian life (e.g. Living By The Book & The Cost of Discipleship). Walter Kaiser is a gifted Old Testament scholar who has the keen ability to be able to communicate well among lay people and scholars alike. In this new offering Dr. Kaiser does not disappoint. This book is especially geared toward pastors, but is also extremely helpful for all those who teach and desire to understand the Old Testament and it’s connections to the New Testament and the ultimate promise plan of God. Dr. Kaiser lands somewhere between a “covenant” and “dispensational” theologian – in my opinion he is very balanced and makes an excellent case for each passage he exegetes. He definitely leans dispensational – taking passages and promises to Israel literally unless there is a textual indicator deeming otherwise. 1) A discussion of the topic. 2) Specific exegetical and sermonic helps for the specific passage being taught including: the text; title; focal point; homiletical key word; interrogative question; and teaching aim. 3) A teaching outline for the passage. 4) An exegetical discussion of the passage. 5) Practical conclusions based on a thorough exegesis of the passage. I think this book is a welcome addition to any Bible student’s collection – especially due to the neglect of roughly 20-25% of the Bible being of a prophetic nature. Those of us who teach and preach God’s Word are required to teach the “whole counsel of God.” My only complaint is that I would have liked to have seen him draw more parallels in the passages to Christ and how the gospel applies to believers in the here and now – and not solely in the past or future (read Tim Keller or Paul Tripp for excellence in this matter). Overall, I think it’s an excellent resource with wise insights into God’s Word and how His promise plan will ultimately be fulfilled. Posted by lifecoach4God on September 8, 2011 in Bible Study Helps, Biblical Theology, Book Reviews, Church History, Eschatology (The Study of Last Things), Israel and Prophecy, Pastoral Resources, Preaching, Sermon Preparation, Theology Proper (The Study of God), Walter C. Kaiser Jr.
1) Everyone is a theologian – but most people are weak theologians (In other words everyone – even atheists have an opinion about God and truth). This book helps you to become a better theologian. It covers all the major doctrines of the Bible in a succinct, logical, and clear manner. 2) It’s organization – Each chapter is brief, yet packed with a practical discussion of the doctrine; evidence for it’s importance from the Scriptures; an itemized summary listing the major points made in the chapter (usually 5-6 key points); and a list of 5-6 Biblical references for further reflection and study. Suggested Reading: He lists two-five helpful books for each of the ten sections. I don’t agree with everything Sproul says in this book (He is a Covenant Theologian – I am coming from more of a “Reformed Baptist” perspective), however, I always learn something, or I’m reminded of something important whenever I read him. He is a master communicator – He is a deep and practical thinker, and easy to understand. I think he is the finest theologian of our generation. I believe anyone reading or using this book as a quick reference and introduction to all the major doctrines of the Bible will benefit immensely from its contents. I have given this book to many High School and College Graduates over the years, as well as to new followers of Jesus Christ. Many of those recipients have gone on to become outstanding students and teachers of God’s Word. Dr. R.C. Sproul is featured daily on Renewing Your Mind, an international radio broadcast that has aired for more than ten years with an estimated two million people tuning in every week on more than 235 radio outlets in the United States and throughout more than 40 countries. Dr. Sproul is a respected teacher, theologian, and pastor. He is currently serving as the director of Serve International, and as senior minister of preaching and teaching at Saint Andrew’s Chapel in Sanford, Florida. Dr. Sproul is ordained as a teaching elder in the Presbyterian Church in America. In addition, Dr. Sproul was the general editor of The Reformation Study Bible, which was also known as The New Geneva Study Bible, and he is the executive editor of Tabletalk magazine. As a prolific author he has written more than 60 books and scores of articles for national evangelical publications. Dr. Sproul has produced more than 300 lecture series and has recorded more than 80 video series on subjects such as the history of philosophy, theology, Bible study, apologetics, and Christian living. He signed the 1978 Chicago Statement on Biblical Inerrancy, which affirmed the traditional view of biblical inerrancy, and he wrote a commentary on that document titled Explaining Inerrancy. 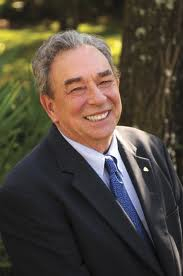 Dr. Sproul completed his undergraduate work at Westminster College, and then went on to earn three postgraduate degrees at Pittsburgh Theological Seminary, Free University of Amsterdam, and Geneva College, and he has had a distinguished academic teaching career at various colleges and seminaries, including Reformed Theological Seminary in Orlando, Florida, and Jackson, Mississippi, and Knox Theological Seminary in Ft. Lauderdale, Florida. In 1971, a group of Christian leaders at Dr. R.C. Sproul’s church approached him with the intent of establishing a study center in Ligonier Valley, Pennsylvania. This study center provided a place where lay people could receive the benefits of seminary-level teaching without having to attend seminary. Christians from all over the United States attended the Ligonier Valley Study Center to hear Dr. Sproul and other leading evangelical scholars. The sessions provided the students and teachers an opportunity to explore the truths of Scripture, the great doctrines of classical Christianity, and develop spiritual disciplines. Many relished the chance to learn how to be articulate defenders of the faith. From the outset, a goal of the Ligonier Valley Study Center was to provide educational materials to all Christians, even if they could not attend lectures at the study center. As a result, lectures were recorded and made available around the country. In an effort to respond more effectively to the growing demand for Dr. Sproul’s teachings and Ligonier’s other educational resources, the general offices were moved to Orlando, Florida, in 1984. At this time, the organization changed its name to Ligonier Ministries. In 2001, Ligonier Ministries celebrated 30 years of ministry. As the need for substantive Christian resources continues to rise, Ligonier Ministries looks for new outlets to proclaim the holiness of God. Ligonier Ministries carries out its mission primarily through the teaching of its chairman — author and theologian Dr. R.C. Sproul. Ligonier Ministries offers more than 360 teaching series on subjects including apologetics, biblical studies, philosophy, ethics, Christian theology, and discipleship in audiocassette, CD, DVD, and video formats. Each series is appropriate for individual or group study, and many have study guides available to enhance the learning process. Ligonier Ministries offers over 400 books from more than 100 classic and modern authors. Topics include church history, Christian living, apologetics, biblical studies, systematic theology, family issues, and children’s interest. Ligonier Ministries presents a national conference each spring in Orlando, Florida, to provide extensive study of a particular biblical theme or issue. Thousands gather to fellowship with other believers, as they explore and affirm biblical truths under Dr. Sproul and other evangelical scholars. In the fall, Ligonier hosts several regional conferences throughout the country and a special pastors conference in Orlando. Since 1979, Ligonier Ministries has published the daily Bible study magazine Tabletalk. Each month, feature articles develop an important biblical, theological, or cultural issue. Daily Bible studies take readers through a systematic study of one or more books of the Bible every year. Thousands turn to this magazine for in-depth Bible study and helpful articles on important topics by Dr. Sproul and other noted pastors and theologians. Since 1994, Renewing Your Mind with Dr. R.C. Sproul (RYM) has provided sound, in-depth teaching to those who might otherwise never receive it. This braodcast is available on more than 235 radio outlets in the United States to a potential audience of 2.5 million people per week and is also available to countless other throughout the world via shortwave radio. In 2003, Ligonier Ministries established a music division to promote the sense of reverence and gravitas found in more classical forms of Christian worship. There are recordings by the Atlanta Boy Choir, various international orchestral and choral groups, a full selection of classical Christmas albums, and several resources featuring Grammy award-winning tenor Stuart Neill performing new arrangements of classic hymns. The Classic Sermon Series and other audio productions are also being released in an effort to reintroduce some of the great sermons of the past to Christians today. A long-standing goal of the ministry was to move into the book-publishing market. In September 2004, Soli Deo Gloria (SDG) became a division of Ligonier Ministries and the first step in reaching that goal. In keeping with this step, Ligonier Ministries released Reformation Trust Publishing in 2006. This new imprint will be committed to publishing books that help readers develop a closer walk with God through a deeper understanding of the Scriptures and the historic Christian faith. It aims to become a trusted resource for the church by producing biblically and theologically solid books using high-quality materials to ensure a lengthy shelf life. Three of its first releases were Dr. R.C. Sproul’s A Taste of Heaven and The Lightlings and Dr. Steven Lawson’s Foundations of Grace.